As a child Graham was soon introduced to the pleasures of playing and listening to music. His mother played a baby-grand piano at home and it was she who encouraged him to have lessons. He worked through the classical piano grades to grade 5, and continued lessons until the age of 14. However at this time the Beatles and the Rolling Stones burst on to the music scene and the in-thing was to play guitar. Graham quickly learnt sufficient guitar technique to become a member of the Bootles and later the Blades rock band whilst at school, playing and singing mainly Beatles and R&B songs. In his years at Southampton University (1965-68) studying electronic engineering, he moved into the folk and blues era, this being the time when Bob Dylan and the "folk scene" were popular. Graham developed a finger-style guitar technique and performed the blues and many songs by Bert Jansch and John Renbourn in the university folk club. But his musical tastes moved on and he soon became a member of the university modern jazz band. After leaving university and moving to Coventry, Graham became active on the jazz scene in middle England and has continued doing so for about 30 years, playing both guitar and piano. One of his earliest collaborations (on guitar) was with Steve Tayton (alto sax), and their band Wave performed regularly at The Cottage in Earlsdon, Coventry during the 1970's. Later Graham was one of the original members of the 5-piece contemporary jazz band, Footprints, known mainly for its original compositions, many of which were penned by him. The band recorded an album No Hurries which was produced by saxophonist Tim Whitehead. Currently he concentrates on the piano, and is particularly in demand to accompany jazz vocalists. First he accompanied Christine Chin, until she returned to her home country, Jamaica. For 18 years he has worked with Roy Forbes, the Birmingham based jazz and blues singer. In 2006 Roy and his band, including Graham, played a series of very successful gigs at the Marbella Jazz Festival in Spain. Other singers with whom Graham has worked are Denise Gordon, Sue Kibbey and Ethel Fitzjohn. More recently in 2012 a collaboration with Coventry based singer Sheila Waterfield has led to the release of a new album I Wish You Love. Over recent months in Frome Graham has worked with several local singers, namely Emma Hannam, Rosanna Schura, Caroline Radcliffe and Howard Vause. Fresco, a close musical collaboration with saxophonist, Ian Hill, has spawned a platform that embraces creative performance, jazz composition and song-writing. They play as a duo and sometimes with other musicians. They also are part of the contemporary quintet Jucamaya whose repertoire includes much original material by Graham. Graham has a small recording studio at home in which he has exercised his skills in performance, production, recording and mixing. Projects have included his solo album Personal Freeway, the Roy Forbes/Fresco album entitled Last Orders, and Jucamaya's albums Thinking of Joe and Curious Terrain. More recently he has collaborated with guitarist David Williams on a CD titled Grateful Hands. Over the years Graham has accompanied many well known jazz soloists, such as Barbara Thompson, Jim Mullen, Dave O'Higgins, Mornington Lockett and Alan Barnes, on local gigs. Although he concentrates on jazz keyboard/piano, Graham continues to do the occasional gig on guitar. These are mainly jazz gigs, but perhaps surprisingly also included playing rock guitar in a production of The Who's Tommy at the Rugby Theatre in 2006. The previous year it was Jesus Christ Superstar at the same theatre. A few years ago Graham had the opportunity to acquire a sitar and to develop an interest in Indian ragas. Being a guitarist and a musician familiar with improvisation it proved to be relatively easy to make a start, but he soon realised it takes a lifetime to master the instrument. However he developed enough skill to compose and record a CD of music for meditation sponsored by his Yoga teacher, Kailash Mistry. His favourite pianists are Keith Jarrett and Chick Corea, though he listens to and is influenced by the broadest range of music. 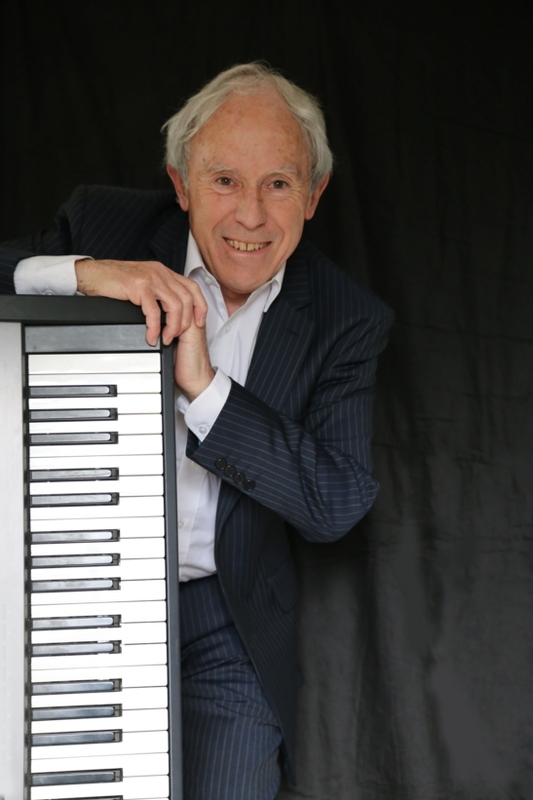 His adaptive, rhythmic piano style means he is at home in a variety of musical settings ranging from jazz standards, blues, through to hard-hitting contemporary jazz. Whichever the musical environment, Graham's sincerity and enthusiasm for his music is always apparent. Having recently moved to Frome in Somerset he rarely plays with his midlands based musician community any more. However he has quickly formed new collaborations with like-minded jazz musicians in Somerset and is inspired by the vibrancy of the Frome music scene.